It’s all in the prep work so they say – and it’s true! 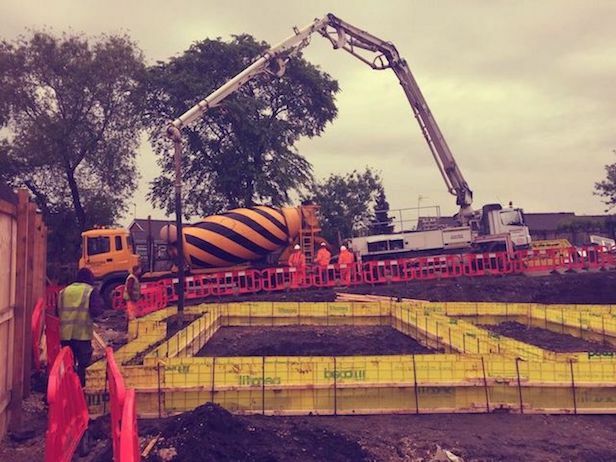 We’ve spent the last few months busy prepping the ground for the foundations at our Woodhouse Vale site in Hunslet & the recent sunny spell has really got things moving. 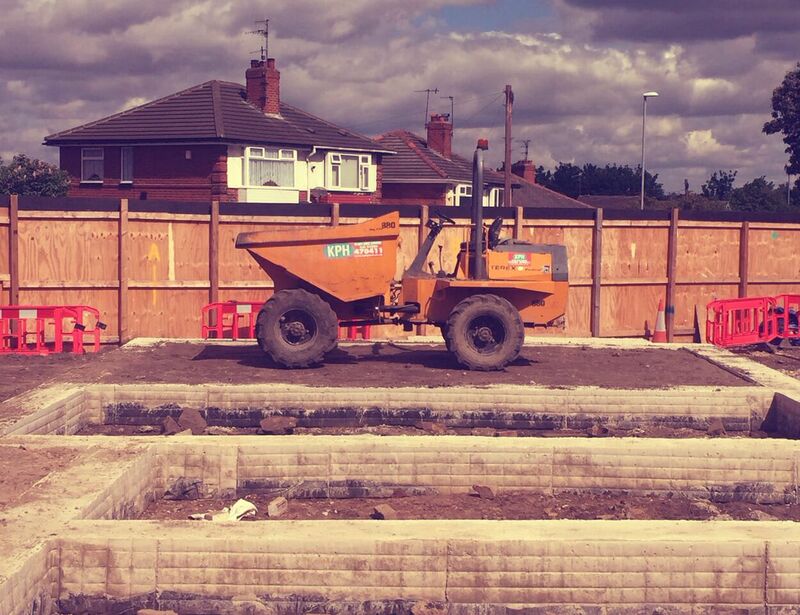 As you can see, the team has been working hard and there’s been some big changes from the pile of rubble we shared with you a little while ago. 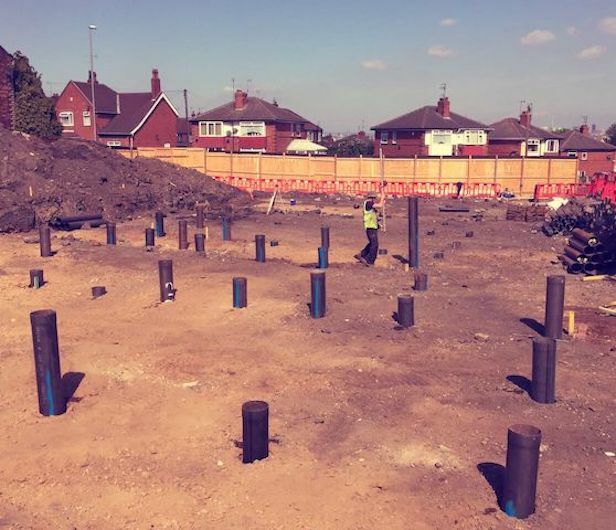 Foundations have now been laid for the first 6 plots and are underway for the rest of the homes. 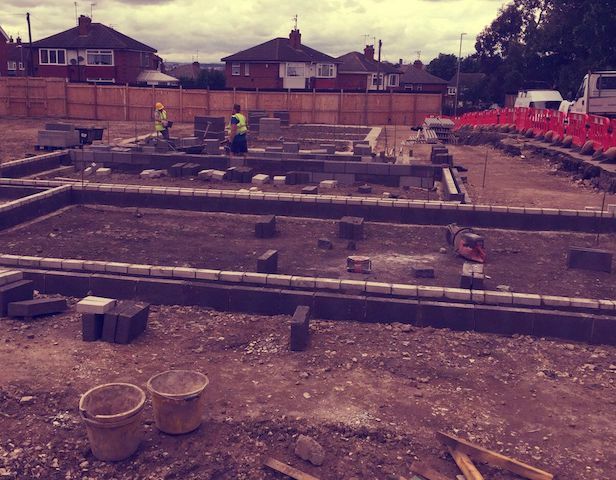 Even more exciting is that the floor beams are in for the first 6 houses with construction work above ground now starting in earnest. The first plots have already been reserved – testament to our philosophy that buying off plan to influence and input ideas to the design of your home really does excite buyers. Coupled with the fact that our homes can be purchased with the assistance of the governments ‘help to buy’ scheme – it really is a chance not to miss! Want to find out more? Get in touch with the team with any questions or to register your interest on – 0800 2055544 or contact Annabel at annabel@homesbymaple.com.